Home / Valentine’s Party 2018! 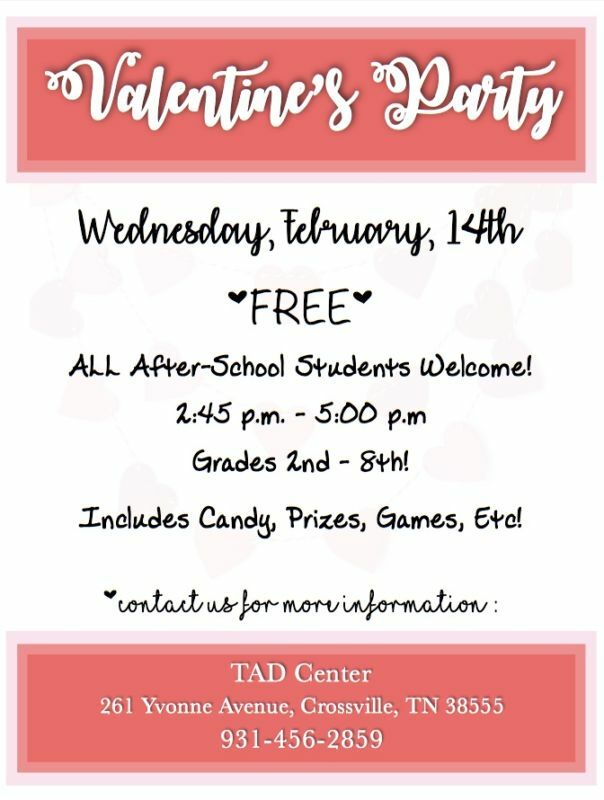 Come celebrate Valentine’s Day with us at the TAD Center! All After-School Students Welcome (and their families, too)! Free event from 2:45 p.m. – 5:00 p.m. Grades 2nd – 8th! Candy, Prizes and Games all included in the celebration! Contact us for more information: 931-456-2859!